Home Article American actress Anna Wood is Enjoying Every Phase of her Life with Husband Dane DeHaan: Do the Couple Have Any Children? American actress Anna Wood is Enjoying Every Phase of her Life with Husband Dane DeHaan: Do the Couple Have Any Children? Dane DeHaan and Anna Wood, who currently stars in USA’s "Falling Water", got married the same year they appeared in the sci-fi film Chronicle. Now, the couple is happy than ever, as they shared a child in the long-run. 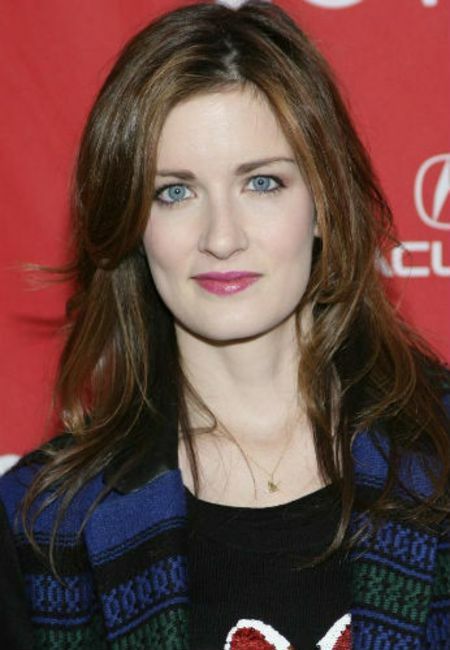 Let's see what we can find about Anna Wood married relationship in detail. It's been quite a while since the Falling Water actress Anna Wood tied the knot with the love of her life. Anna Wood with her husband Dane DeHaan. The American actress Anna walked down the aisle with The Amazing Spider-Man 2 actor Dane DeHaan on June 30, 2012, in the Blue Ridge Mountains in Virginia. Recommended: Spiderman star Tobey Maguire steps out in New York City alongside a mysterious Brunette; Is he Dating? Dane and Wood are one of the cutest couples in Hollywood and are high school sweethearts. Reportedly, the couple met in North Carolina during high school and had been dating since 2006. Their love of more than a decade gave a blossoming taste in their life after becoming the proud parents of a baby. On April 2, 2017, Anna and Dane announced the birth of their first child, a girl named Bowie Rose Dehaan. In addition, Anna shared a picture of herself and her husband with the announcement that showed DeHaan, 33, nuzzling his wife’s baby bump. Since then, the pair has become a perfect partner in life in every highs and lows. Currently, the lovely pair resides in Williamsburg, Brooklyn with their beautiful daughter. Anna Wood stole the show as she looked perfect staying beside her husband Dane at the Valerian premiere on July 17, 2017. Later that night, DeHaan wrote the sweetest note thanking her for being there for him! Laureline is Valerian’s love interest, played by Cara Delevingne in the movie. Not only that, taking a glace at the recent Instagram feed of the pair, anyone can surely determine how cheerful and colorful their love life is! Well, we just want this happiness to never end, wishing them a happy journey for their future endeavor. Anna Elizabeth Wood on 30th December 1985 in Mount Airy, NC, USA. She is the daughter of Mary Beth and Bert Wood. Anna grew up with her two siblings, an older brother Jarod, and a younger sister Lauren Kathleen Wood. At the age of 18, Wood produced, directed, and starred in a play titled Out of Gas on Lover’s Leap at the Cherry Orchard Theater. As of 2019, Anna Wood's estimated net worth is $500,000.